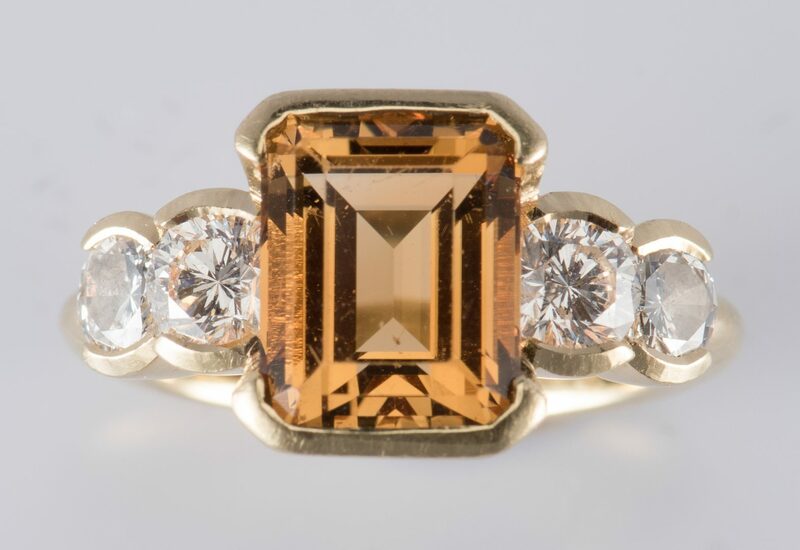 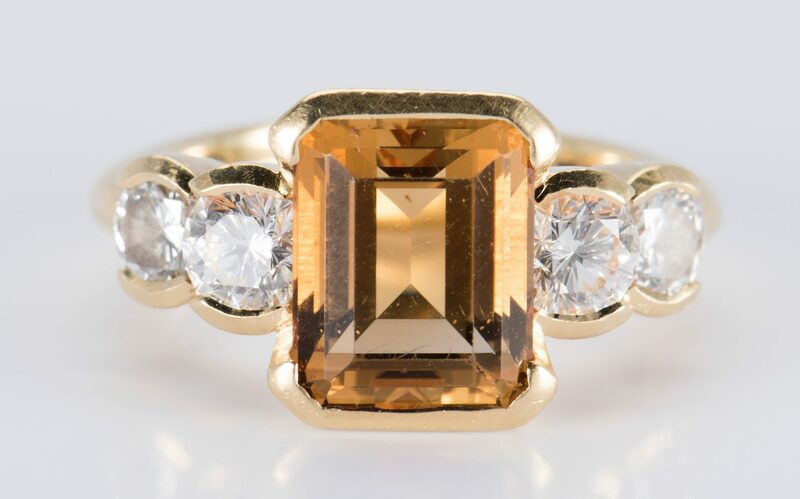 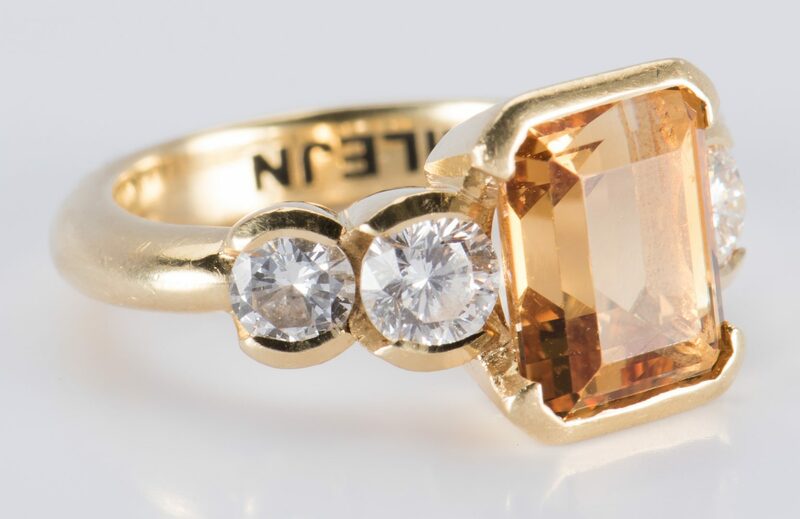 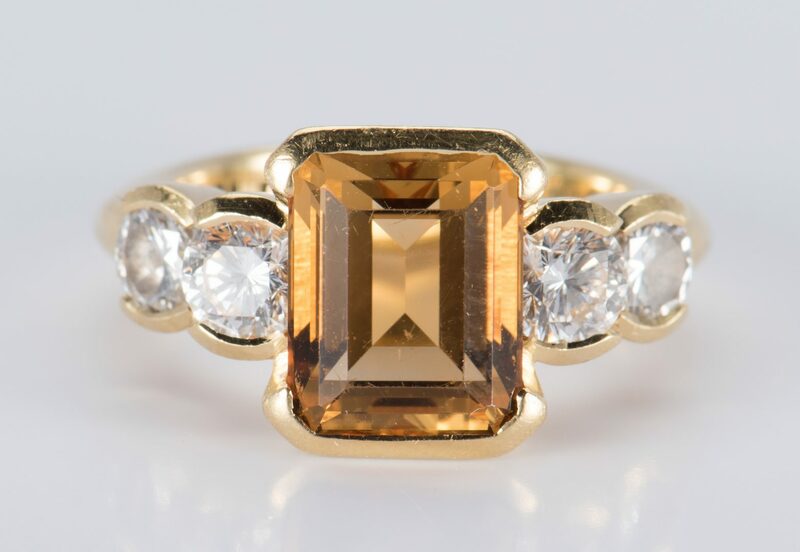 18K yellow gold designer fashion ring containing bezel set emerald cut citrine center stone set in stepped down mounting with two bezel set round brilliant cut diamonds on each side, four total, with a total diamond weight of approximately 1.30 cts. 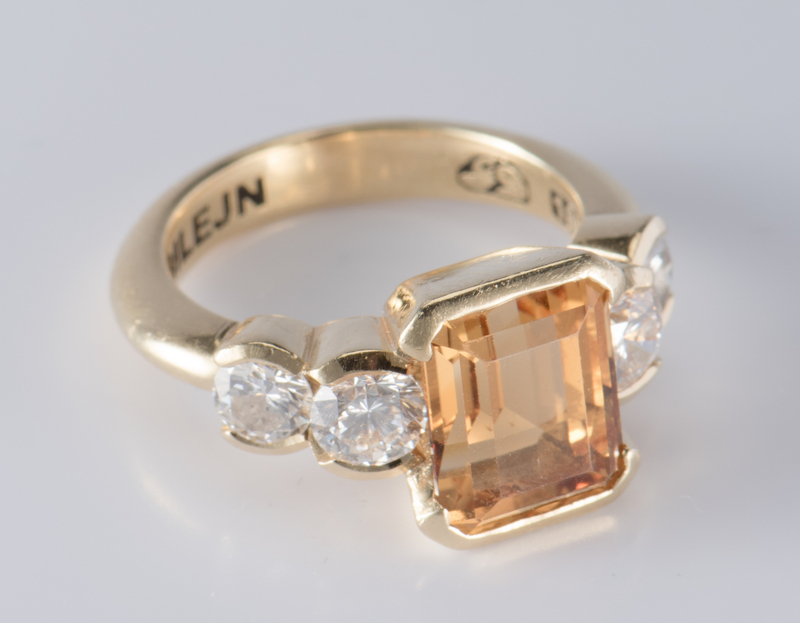 (approximately VS2, J-K clarity), 8.2 grams. 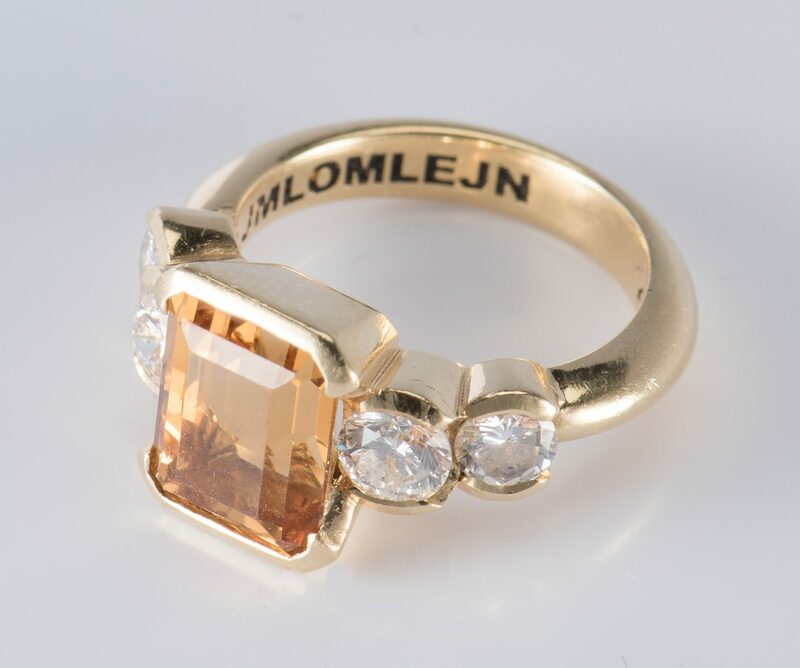 Mounting stamped "LJMLOMLEJN" 18K with unidentified maker's mark. 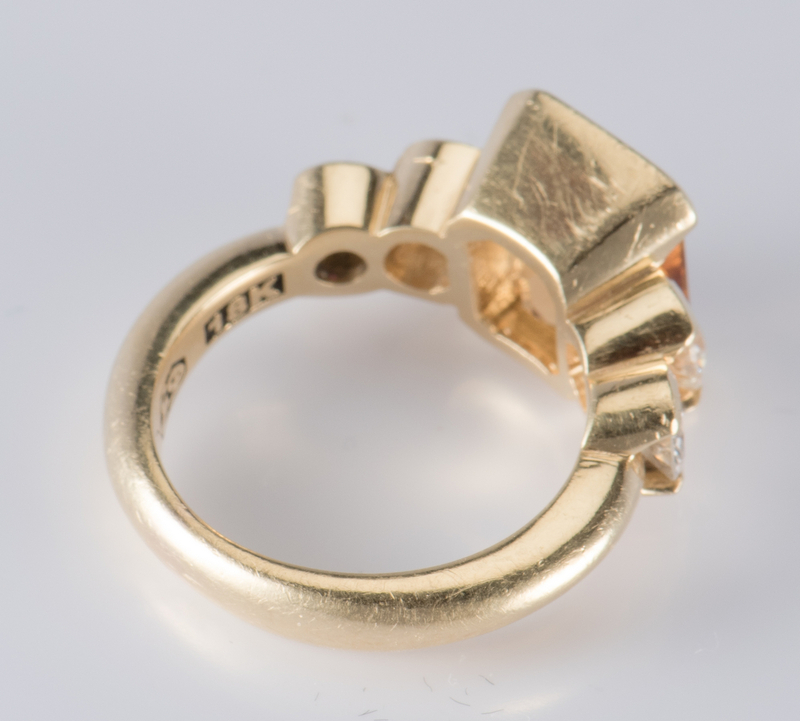 Ring size 5 1/2. 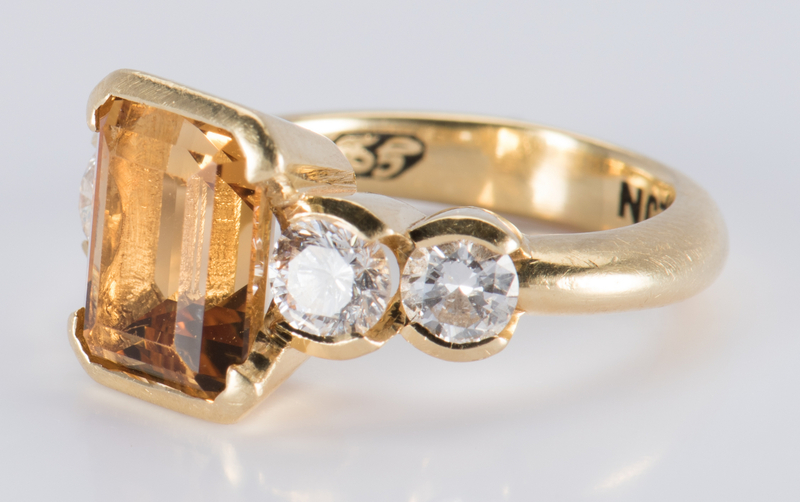 CONDITION: Overall good condition with some surface scratches.